As a newly independent country and still largely off the beaten path, Timor-Leste is a fascinating place to visit both in terms of heritage and culture, and its general way of life. Timor-Leste culture is strong, unique and reflects many different influences: traditional animist beliefs; a former Portuguese colony; the impact of WWII; the more recent Indonesian invasion and spirited Timorese resistance; the role of the Catholic Church and the effects of other minority groups such as Chinese traders. Do visit the excellent Timorese Resistance Archive and Museum in Dili if you are interested in learning more about the struggle independence. Timor-Leste’s traditional music, dance and story-telling is a fundamental part of its cultural heritage and very engaging to watch. So definitely make the most of any opportunities, whether a small local occasion or a national fiesta. There is much of interest for travelers in Timor-Leste. In addition to main attractions and learning about significant historical events, it is fun to wander around a local market or back street and experience everyday life. 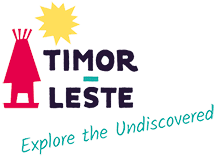 Timorese are extremely hospitable and proud of their country and if you express an interest and openness, they are happy to share information and on occasion their personal stories.